This sweet and tart cranberry chutney adds a delicious seasonal twist to this holiday meal. Preheat the oven to 425°F. Line a small rimmed baking sheet with aluminum foil. Set aside. Sprinkle the pork on both sides with the curry powder. Using your fingertips, gently rub the curry powder into the pork. 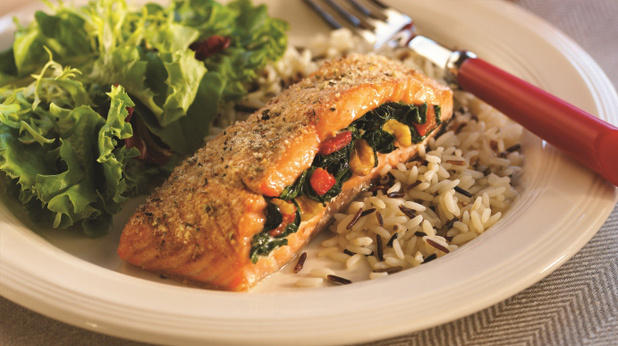 In a large nonstick skillet, heat the oil over medium-high heat, swirling to coat the bottom. Cook the pork for 5 to 6 minutes, or until browned, turning once halfway through. Transfer to the baking sheet. Roast for 20 to 25 minutes, or until the pork registers 150°F on an instant-read thermometer, or is slightly pink in the very center. Transfer the pork to a cutting board. Let stand, loosely covered, for about 10 minutes. The pork will continue to cook during the standing time, reaching about 160°F. Slice the pork. Meanwhile, in a small bowl, stir together the chutney ingredients. Set aside until serving time. Serve with the pork. 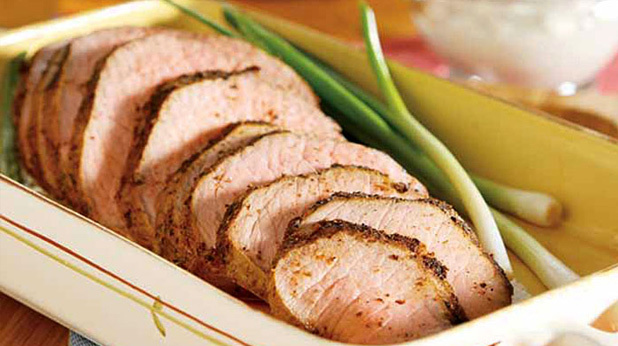 Cooking Tip: Because pork tenderloin roasts very quickly, it usually doesn’t have a chance to become golden brown in the oven without becoming overcooked. In this recipe, we solve that problem by browning the pork first, then roasting until it is an attractive color but still moist.